The first step to opening your restaurant business is to have a clear, unambiguous idea of your restaurant; what is it that you plan to create and sell. A Restaurant Business Plan acts as a guideline, a roadmap for the future development of your restaurant business. It is the blueprint for operating your restaurant. What you must remember while writing a business plan for your restaurant is that it is for your use and clarity of thought. It is more of a guide you develop for yourself to understand how you will be running your restaurant business. From a business plan, a business proposal is generated which is to be shared with outside parties like investors and bank authorities. Even though it is mostly for internal use, you need to know how to write the restaurant business plan properly. It needs to be structured in an easy, understandable, logical and a feasible manner. Your business plan should also be sustainable in the long run. Moreover, it’s required so that you can maintain what your restaurant is about, where you plan to take it and how you plan to achieve those goals. You should consider all opportunities and pitfalls of your restaurant business well while writing a business plan for your restaurant. But before you put your dreams of opening a restaurant on a paper, read this detailed piece on How To Open A Restaurant Business. This article will be a comprehensive guide on ‘How To Write A Restaurant Business Plan’. A tip to effectively write a business plan is to not write it as a finished document but in structured parts, for example even though the ‘Summary’ of your business will be the first thing in your plan, it is better to write it at the end as that way you will have a more structured idea of what all is in the plan and what all you need to include in the summary. Similarly, it is better to conduct and write regarding your ‘SWOT Analysis’ before the ‘Industry Analysis’ as only after knowing what your strengths and weaknesses are can you place yourself in the Industry and determine your competitors. 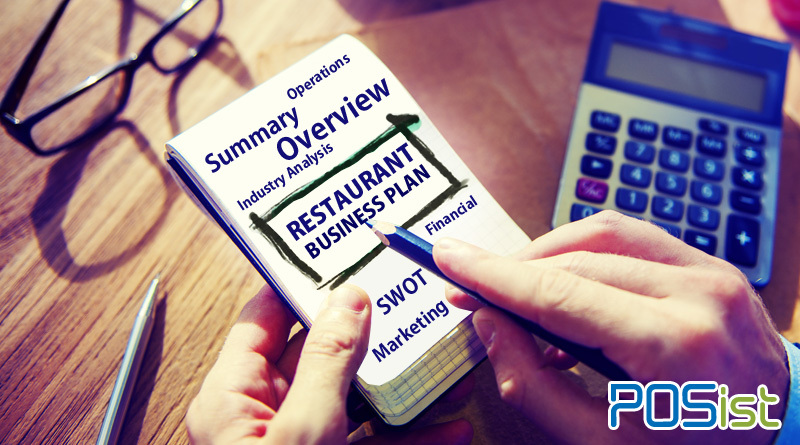 Now, let us look at each of these points in a Restaurant Business Plan in detail. Your restaurant business plan should begin with an overview or the summary of your restaurant concept that acts as an introduction to your business. This is the gateway to your restaurant business plan and so it is essential to get it just right, but at the same time, you must keep it short and precise. It should include things such as your mission statement, a review of your restaurant legal structure and ownership, a brief history of the restaurant if it’s an existing restaurant and future plans of your restaurant business. Your restaurant business plan should be an overview of your business comprising of all-around strategies. Who are you going to cater? Who will be your target clientele? What service/product you will provide to your target clientele? 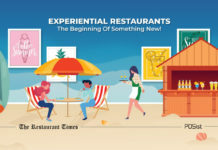 If you haven’t decided already, this article will help you choose the right concept for your upcoming restaurant. The next process of writing the restaurant business plan would be deciding the cuisine and the menu. By this time you should be clear about your pricing as you would have already decided your clientele. You need to mention the format and the design of your restaurant in the Restaurant Business Plan. The design and the layout of the restaurant should be in sync with the format of the restaurant. For example, in the interior design of a fine-dine restaurant would be different from that of a fast-food restaurant. Also, include the cutlery, kitchen equipment, staff uniform that would complement the brand image of the restaurant in the business plan. A good descriptive summary of the style of the service, as well as the promptness, is necessary to communicate the conceptual image of the restaurant properly. 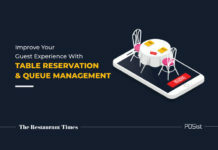 Will your restaurant be self-service or would you provide wait staff, how qualified will that staff be, do you plan to have sections in your restaurant, all of these must be considered and mentioned in this section. Needless to say, your menu is the heart of your restaurant business plan. It is generally accepted by the restaurant entrepreneurs that if you serve excellent food, your restaurant will be able to survive the competition. Thus what you plan to offer is an integral part of the business plan for your restaurant. Your sample menu should be a simple list of items with the half and full prices. Even if you plan to add on to the menu later, do not include the dishes you will not immediately serve at your restaurant. This is so because most of the times, new dishes are not simply added to the restaurant menu, instead, the menu is optimized. This means that low performing dishes are removed and newer, better dishes are added in their place. This way innovation is ensured while keeping costs low and menu design in place. Apart from that, your menu should be guided by the availability of ingredients. Instead of going for a fancy and difficult menu with 10 dishes of paneer or chicken, it is always favorable to go for 4 dishes of veg and 2 dishes of non-veg, for example. It is recommended that while making a sample menu design, don’t go for dishes which require hard to procure ingredients or complicated techniques to prepare it. Your menu should be balanced, between cold or hot and heavy and light dishes. The reason is that generally, the chefs who apply at restaurants are less skilled and mostly unemployed. So in a crisis when the chef leaves your restaurant, you can hire another chef with lesser difficulty. But your head chef should be skilled and creative enough to be able to take the risk of experimenting with texture and taste. However, make sure that you don’t miss out on popular options demanded by your targets audience. Your Restaurant Business Plan should also include the details of your Management Team. This list would include the Owner, General Manager and the Head Chef. It will also include the responsibilities assigned to each member for clarity. Finding the ideal location for your restaurant is one of the biggest challenges that you will face. 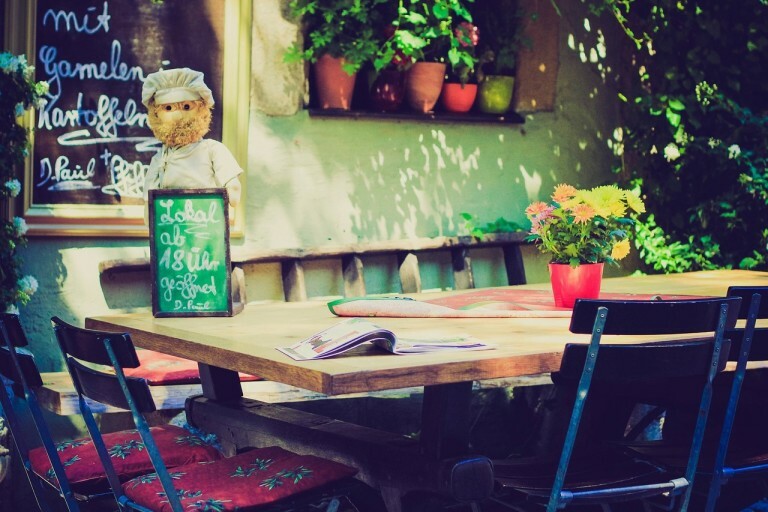 There should be a clear connection between the location of your restaurant, the format of your restaurant and your target audience. The location analysis for your restaurant’s business plan should describe the market conditions that exist in the location (or general area) you have selected. If your restaurant is in a mall, it is likely to attract families. If the location you choose is surrounded by colleges, hostels, and PGs, mainly teenagers will be the ones visiting your restaurant. The location of your restaurant should be easily accessible. It would be better if your restaurant has its parking area. Your location should be Google-map friendly. Information gathered and displayed here should include demographic statistics, description of local industry and the competition around you. At the same time, figure out how you plan to manage the supplies in the future with minimum shipping and delivery charges. So chose a location near the vendors and suppliers. Do think about the prospects as well. It is likely that in the coming future when your restaurant business will be growing, you will have to acquire more employees and purchase more equipment. 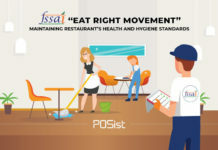 More customers will be walking in your restaurant, so you should be able to assess whether your restaurant can provide adequate seating, parking, storage, preparation areas etc. It is important to do a Target Audience Analysis to come up with a comprehensive Restaurant Business Plan. It is not necessary to appeal to everyone. 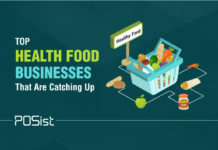 You should know whom your restaurant will be serving, which class they would belong to, and their specific food habits and their spending habits. The aim of doing a target audience analysis is to know which portion of the population is most likely to come to your restaurant. Analyze the customer demographic and the behavior of the customers that you are aiming to target. For analyzing, first, you have to conduct primary research of what constitutes the population near your restaurant. 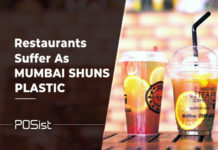 For example, if you are opening up a restaurant in a student-centric area surrounded by PGs and hostels, it will be better if you are running a fast-food restaurant, a takeaway joint or casual dining serving at a lower price and with more funky interiors. If you are planning to open up a restaurant in a residential area or where there are a lot of corporate offices, they will usually have higher spending capacity. So depending on that you can go for casual dining or fine dining. Also, your target customers should be living within 3 miles of the location of your restaurant. The closer, the better it is. Accordingly plan out your mediums of marketing as well which would appeal to your targets customers. The market segment your competitors serve. The item which is maximum purchased by the customers. What promotion/marketing strategies are being used by the competitor. Serving capacity, operational hours of your competitors. The strengths and weaknesses of your competitors. The growth rate of your competitors. You can conduct primary research on these aspects by visiting the places or secondary research by regularly following the updates on their website, reviews on their pages and their other social media profiles. Doing a SWOT (Strength, Weakness, Opportunity, and Threats) Analysis must be included in your Restaurant Business Plan as it helps you identify internal and external factors that would impact the restaurant’s future. Not only does it warn you regarding what could go wrong and what your weaknesses are, but it also gives you a detailed insight regarding your strengths and opportunities so you will be able to use them better. a) Strength- Strengths are the strong points of your restaurant that can drive its growth. 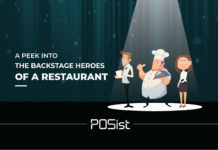 They are the reasons your restaurant will be a success. Strengths are the first thing you analyze while writing a business plan for your restaurant. Your strengths can include things like the USP of your restaurant, competitive pricing, prime location, quick service etc. b) Weakness- Weaknesses are the weak links in your restaurant which can slow its growth. These are the things that your restaurant is not good at but they can be worked upon. It is also essential to consider the weakness of your restaurant so that you may be prepared to tackle the problems that may arise from them. For instance, as a new business, your weakness may be an unestablished brand identity or untrained staff. c) Opportunity- Opportunities are upcoming trends in the market which no one has grasped onto yet. If grasped at the right time and invested in, opportunities can take your business to the next level. Analyze the gaps in the current market trends and note how you can benefit from it. For example, as a new concept in the area, you can have a First Mover Advantage. A viable opportunity can be anything like the increase in demand for vegan food or even the availability of better restaurant technology. d) Threats- Threats can be anything that may pose damage to your restaurant business. These are external factors that you have no control over yet they may hamper business. These can range from anything; from a new restaurant competition to a sudden shortage of supplies. 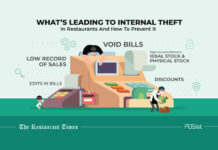 The best way to deal with threats to your restaurant business is to prepare how you will tackle them in advance and include it in your restaurant business plan. 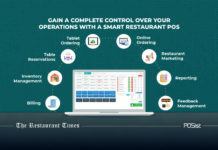 The Operations Plan is an integral part of your Restaurant Business Plan as it includes how the restaurant would function in the daily operations. Another significant challenge that you are going to face after you have found your space, planned the layout and the interiors have been done is finding the right people to run your restaurant. You should be aware that your restaurant is a labor-intensive business. Your team is the backbone of your restaurant so they should be treated with the utmost care. When your restaurant is in profits, you need to make your team a part of your success so that they also feel a participated in the happiness. 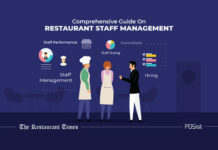 The Restaurant Business Plan should include points such as the number of employees you would need in each area of operations, such as the Kitchen and the Service Area. Also include the entire Recruitment Procedure, Job Descriptions, and the Training Manual. Kitchen staff: Cooks, assistants, prep staff, pantry, washing staff. For bars, you will also need bartenders. Service staff: Waiters, orders takers, counter staff, delivery staff, cleaning, housekeeping, security. Management staff: Restaurant manager, chef, cashier, store keeper, purchase manager. Before writing the business plan, the restaurant owner should decide whether the staff and team will comprise of only local-ites or migrants from smaller towns and cities as well. It is always better to include a mixed culture of people which will not only create a backup during respective festive seasons but also will also bring diversity in the restaurant. No matter who you select, the employees you hire must match certain standards. Your wait staff must have good communication skills and a charming personality, your kitchen staff must be agile and quick on their feet, your manager must not only be a good employee but a good leader as well. To ensure that your staff is up to date with industry standards, you should hold training sessions regularly related to food preparation, healthy kitchen practices, smart waste management, approaching the customers with a professional attitude, handling customers’ reviews and complaints and so on. Do not just assume that an employee is supposed to know his/her job. Create a training manual and train your employees according to it. If you merely give them a booklet and expect them to learn it and und implement it on their own, it will lead to a lot of miscommunication in the team leading to poor customer service and lousy restaurant performance. Create a Training Plan for your employees and make the hired employees undergo extensive training before the opening of the restaurant. Deciding upon the kind of service that you would provide in your restaurant is essential and must be included in the Restaurant Business Plan as it affects the entire guest experience. You should decide the type of customer service that you would be provided based on your restaurant format. Table d’ hote (TDH)- A table d’hôte menu in a restaurant terminology can be defined as a menu where multi-course meals with only a few choices are charged at a fixed total price. Such a menu may be called prix fixe or fixed price. The terms set meal and set menu are also used. The cutlery on the table is already set for all of the courses. A la carte- Table d’hôte contrasts with à la carte, where customers may order any of the separately priced menu items available. À la carte is an English language loan phrase meaning “according to the menu”. It refers to food that can be ordered as separate items, rather than part of a set meal. Silver service or Platter to Plate- Silver service is a method of food service that usually includes serving food at the table. It is a technique of transferring food from a dish to the guest’s plate from the left. The waiter does this by using service forks and spoons from the diner’s left. Plates are cleared from the right, glasses from the right; again by starting with the guest to the host’s right. Glasses are stacked in a diagonal to the right and away, with wine (by course) in order and then water glass. While writing the business plan for a restaurant, the most important point to remember when it comes to finances is to be realistic. You should have a personal financial statement and balance sheet in place, with the regular cash flow statement. The owner should be aware of all the cash inflows and outflows and should carefully keep track of all the money that is debited and credited in the business accounts. The owner should also be conservative in the initial days of the restaurant. It is not necessary that your first day sales will be replicated and when you are a new restaurant, money is slow. Apart from that reaching break even as soon as possible is important to stay afloat and make profits thus cash should never be taken for granted. 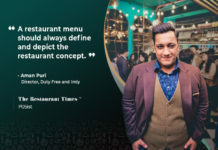 For example, a lot of times the restaurant owners become too ambitious and they start expecting good revenue from the first day itself like Rs 10,000 on the first day and in the same proportion on the other days. This over- assumption may prove to be harmful because there might be an extreme case when there might not be a single customer in your restaurant so you should be prepared for it both psychologically and emotionally. Thus, Financial Analysis is an important part of the Restaurant Business Plan. You must include the Cash Flow Statement, Revenue Projections and Cost Analysis in the Business Plan. This part of your restaurant business plan will comprise of your financials or your partner financials and how much you are ready to invest. It will also include contingencies that may come up and funds for the same. After mentioning how much your capital is and where it is coming from, you need to allocate funds to operating expenses, fixed expenses, marketing and other departments of your restaurant. You will also mention for how long you will support the system and when you expect to break even. Apart from that also set up a contingency fund for unforeseen events. Capital and Operating Expenses give you the details of where the money is being spent. Capital expenses- Also called as Fixed Cost, Capital Expenses are those expenses which are fixed in nature and are not recurring. These are long-term investments that you will do in your restaurant, like the cost of equipment and machinery, cost of utensils, interior designing cost, tables, chairs, cutlery, crockeries, wall hangings, chandeliers etc. Operating Expenses– These are the costs that you will incur to run your restaurant. These are recurring costs like salary, depreciation on equipment, rent, electricity etc. You need to assume these costs and the projection has to be made along with the operation team. Cost Projection- The Cost projection of the restaurant should be done for at least 6 months. Revenue Projection-Understanding the scope of business is essential. Now that you have the survey about your localities, you have your operating team in place, you have your menu and cuisines decided, you have knowledge of the expenses and, you can then easily derive the revenue projection. Majorly in revenue projection, you need to understand the amount of footfall to expect. Revenue per person- As per the menu which you have created, you need to understand and analyze how much per person average you will be able to earn. Once you know that your APC (revenue per person) is X amount, then multiply with the assumed footfall and create the revenue projection for daily, monthly and quarterly basis. Statements of Income- As for now, you have your expenses ready and so is your revenue projection, with these data you can calculate your gross profit/ Return on Investment/PBT /PBAT. This statement of income will be your road-map for opening a restaurant. It is always better to be a little conservative rather than generous when comes to revenue projection and more generous in terms of expense statement. The F&B space is getting competitive day by day. Therefore, another essential step while writing a restaurant business plan is marketing. You should have a clear picture of your market strategy beforehand. Plan out a budget for both online and offline marketing. For every rupee you earn, a portion a portion should be dedicated to marketing the restaurant. Always have a visual block free logo with a simple design and a simple name. 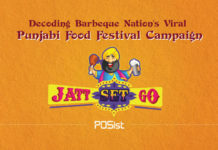 However, the branding of a restaurant is determined by the country in which the restaurant is located. It is better to go for a soft launch before throwing an official launch party. A soft launch with your friends and family will give you unadulterated feedback of the restaurant and you will know what all to improve. 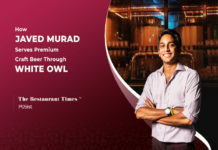 At least after a buffer of 3-4 months, go for the official and the hard launch, where you would invite all the named and ]famous people of the industry and even outside the industry like politicians, journalists, food bloggers and critics. 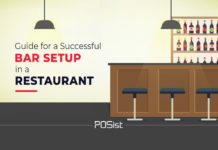 The most common mistake the restaurateurs make is having a hard launch on the first day of their restaurant when they do not have a financial backup to provide free drinks and food to the people coming to the launch. So this buffer period of 3-4 months will not only give you and your employees the time to be well versed with handling operations of the restaurant but you will also have enough cash in hand for a successful launch. Plan out your marketing strategy on both online and offline platforms. Through your marketing strategy, define your restaurant’s specialties and state how your restaurant will stand apart despite the prevalent competition in the restaurant space. Your marketing strategy shall be determined by the contemporary market trends. 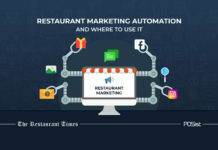 Smart marketing strategies use elements of all these promotional options to build a restaurant brand and engage the restaurant’s core customers while keeping costs manageable. You need to understand that how to utilize the various channels on social media so that you get the maximum ROI from them. Website: Your website can prove to be the most important channel for your marketing. You should be able to maintain an attractive, informative and responsive website which will comprise all the important information about your restaurant. The stronger the impression that your website makes, the more publicity you’ll get from media outlets and review sites. List your restaurant website on online listing & travel websites like TripAdvisor, Zomato, Burrp & more. Also, do not forget to list your restaurant business on Google. You need to be discoverable all through the life of your business and Google is crucial to that. Read more about the importance of a website for your restaurant here. Blog: You can start a blog for your restaurant that will allow you to promote your restaurant activities. A blog can help you by strengthening your digital reputation and a better SEO ranking and ability to build your database for newsletters, digital marketing, and email campaigns. You can get even more mileage from your blog by publishing posts by guest authors. Social Media Platforms- Having a social media presence for any restaurant is very important. By adding social media to your marketing strategy, you can increase awareness about your restaurant amongst your clientele. You can promote discount coupons, offers, loyalty programs, and events on Facebook, Instagram & Twitter. 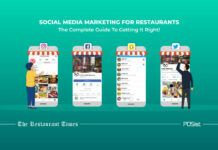 Learn the tips of the social media success of your restaurant here. Email Marketing- Email marketing has always been one of the most reliable forms of marketing for gaining customer loyalty. If you are new to this, you could also have software for your email marketing. The restaurants can show their regards to new subscribers with a discount code for their next visit. Email marketing is especially effective to nurture customers as opposed to getting new customers. Your customers should be able to send a direct reply to emails that you have sent out. It is always advisable to not send an email from a ‘no reply’ address. 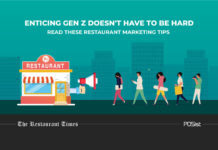 Include these points of email marketing for a restaurant in your restaurant business plan. Find out how to do the digital marketing of your restaurant the right way here. 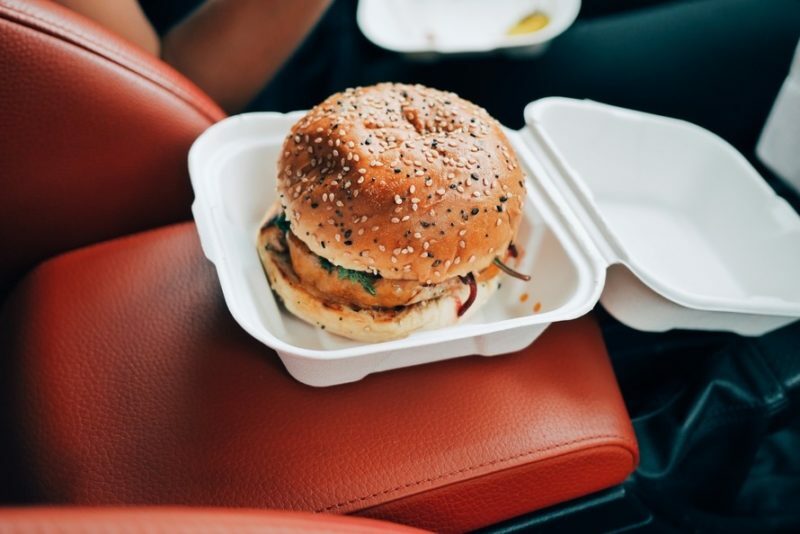 Apart from the online marketing of your restaurants, there are a lot of ideas for offline marketing for your restaurants. 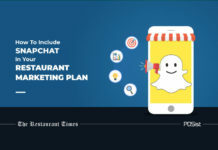 Learn more about Offline Marketing for restaurants here. In today’s century, the restaurants are facing unprecedented challenges in all the aspects. One of the challenges is to cater to changing eating preferences and habits. 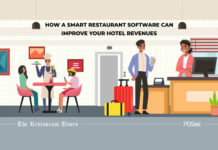 So in such a scenario, it has become vital for restaurants to analyze and understand the differences and changes in the customers’ behavior, food preferences, eating habits, and then look for more opportunities to serve them better. Before the customers start coming in, you need to ensure how you will accumulate the customer data and use it to generate more business. Include the channels through which you will acquire the customer details in your restaurant business plan, and also the strategies through which you will engage with your future guests. You should have software which covers various important aspects. It needs to integrate easily with the software that you are already using, and that may indeed require custom CRM development. Your main focus should be on customer retention and increasing sales growth. Learn how Integrated CRM increase Customer Loyalty and improves restaurant sales here. 4) Average Spend per visit. 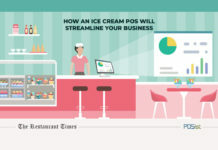 Once your customer registers on your loyalty program, their profile is created. Then, it becomes easier to track the frequency of the customer’s visits, how much they spend per visit, what are their preferences. With this, you get an effective platform to engage and interact with your customers. With a loyalty program, any restaurant can give its customers advanced access to new dishes, special discount coupons or a free meal. Real-time updates and personalized recommendations for your customers. You can Reward your loyal customers with a gift, a discount coupon. Stay in regular touch with your customers through email and text message. You can send your customers a birthday/anniversary wish. You can give your customer something at the end of the meal with a sense of gratitude as a surprise. Also with the CRM system, after analyzing customers’ history, you will be able to find out if a particular customer is a vegetarian or a non-vegetarian. Then, depending on that if a new non-vegetarian dish is launched, it would be taken into account that the specific email about that dish does not go to the vegetarian customer. Thus, making the process of customer relationship building more specific to your valuable customers which will help you in the longer run. Interact with your customers on social media platforms. Make them feel important. Creating a restaurant business plan might look like a brainstorming task. Indeed, it is as well. 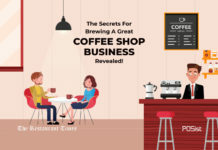 But one must understand that a logical and feasible restaurant business plan is the first and foremost step in the establishment of a successful food business. Awesome. Very useful pointers to consider for your Restaurants business plan. Thank you for providing such a valuable information. Great article. Must read before starting a restaurant business. 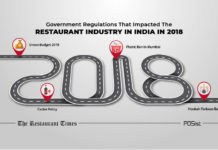 It’s a very good n important things to know the basic knowledge before starting the restaurant business ,thnx n i really appreciate for this beautiful article …..!!!! The article is very well explained and is very comprehensive. A business plan will be the roadmap from which your new restaurant develops. No matter how much thought you’ve put into your concept or how many trusted colleagues have assured you of its greatness, you absolutely must write a business plan. It will prove the viability of your concept to potential investors and provide them with a clear and engaging answer to the question. Good Read. Great tips on how to write a restaurant business plan. Please provide a downloadable restaurant business plan pdf also. Anyone who is planning to open a restaurant would totally agree that writing a restaurant business plan is not an easy task. I like how this article talks about every aspect that will help map out a restaurant business plan, would highly recommend this article! hello…. 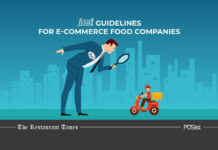 Great Article Very useful pointers to consider for Restaurants business. Thank you for sharing such a valuable information with us.